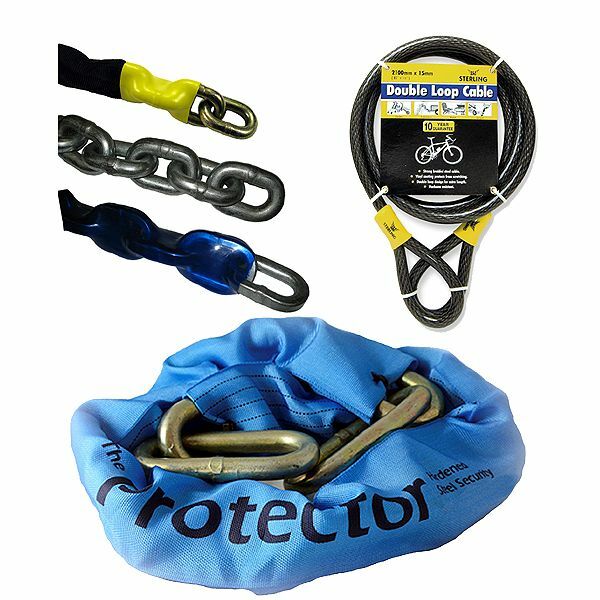 However good your security chain or cable, you will probably want to use it with a suitable anchor point when you need to secure the item it`s protecting against being stolen or otherwise removed by an unauthorised person. The good news is that there are many types of Ground Anchors and Wall Anchors available, designed to offer the perfect solution where there is no natural anchor point available. 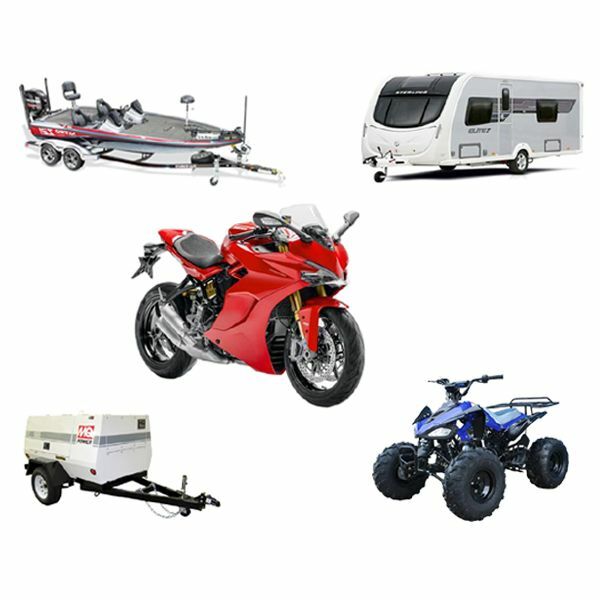 Typically they will form a secure, immovable loop, to which the chain or cable can be attached or passed through. As the name suggests, these units which also include our special Shed Shackle, are designed to be fixed to a wall. Units which are designed to fix to concrete, brick or masonry walls are normally supplied with some form of anchor bolt to provide a robust fixing. 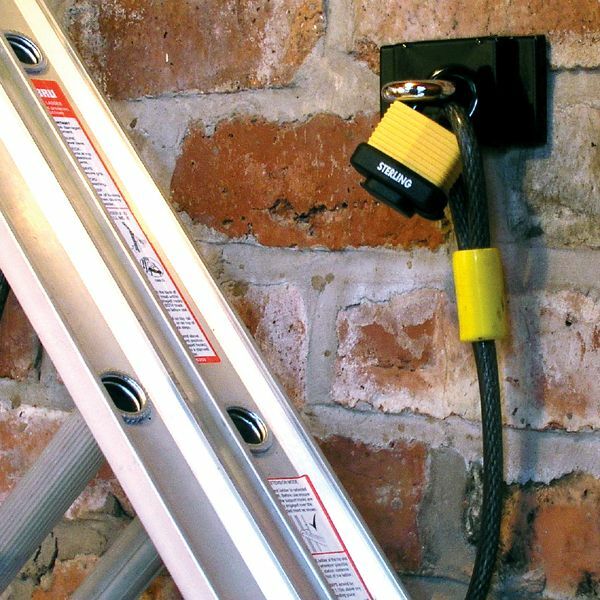 Where the anchor unit is to be attached to some form of wooden structure such as a shed wall, you will need a unit which is specially designed (such as the Shed Shackle) for use with that type of surface, which is obviously less robust than a masonry one. This type of Ground Anchor is designed to bolt down to a good quality concrete base or similar structure. 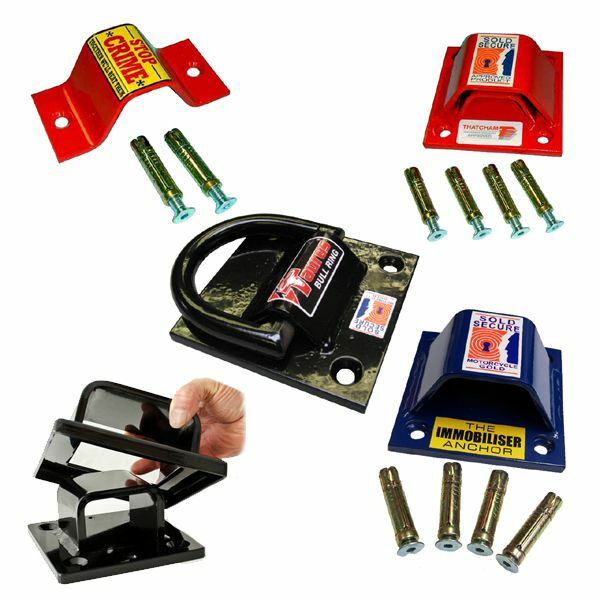 There are various forms available from bolt down steel box sections to flip up loop types, but as all stand proud of the surface to which they are bolted, they could form a trip hazard unless carefully positioned. As the name implies, this type of anchor is designed to be sunk into the ground, and will typically be embedded in a block of concrete. Or take a look at one of our useful advice articles. 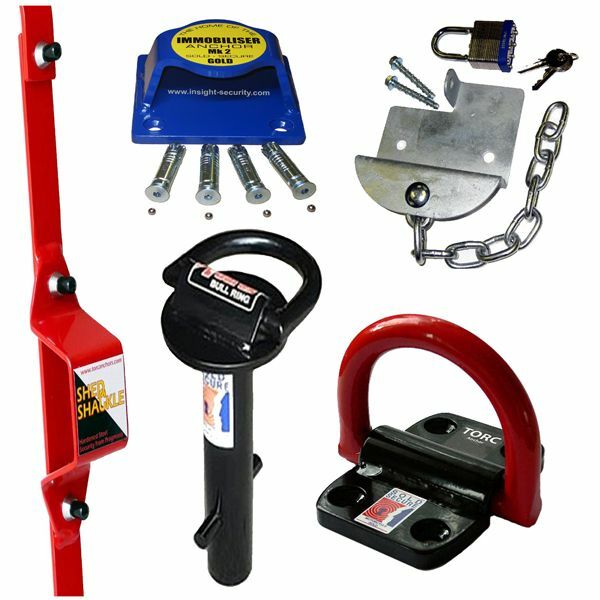 Security Chains for protection against sawing, bolt croppers and freezing attacks.